Although it isn't doing anything wildly new, Ghost Town Games has cooked up a sequel that fans will adore, but that newcomers will also be able to enjoy from the off with its accessible controls and easy to grasp premise. If you played the first game, you know what you're in for, but for those coming to Overcooked fresh, this is the perfect time to bite. The original Overcooked is a cooperative masterpiece and this sequel simply tried a little too hard. It's still enjoyable but the frustrating stage designs and easy scoring system make for a far less satisfying meal. Overcooked 2 takes everything you know and love about the first game and kicks it up a notch to make a more satisfying and plentiful sequel. The kitchens are still the main highlight, boasting an insane amount of creativity and franticness. 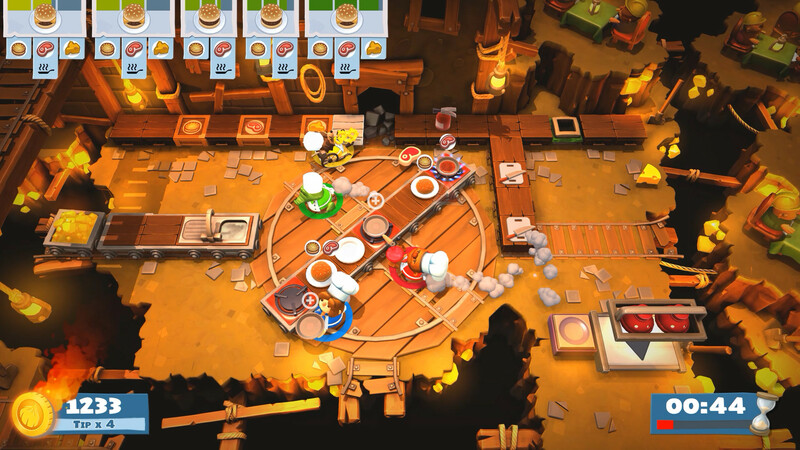 The new dishes are all great, and the new throwing mechanic, as well as a new combo meter, greatly enhance the overall Overcooked experience. 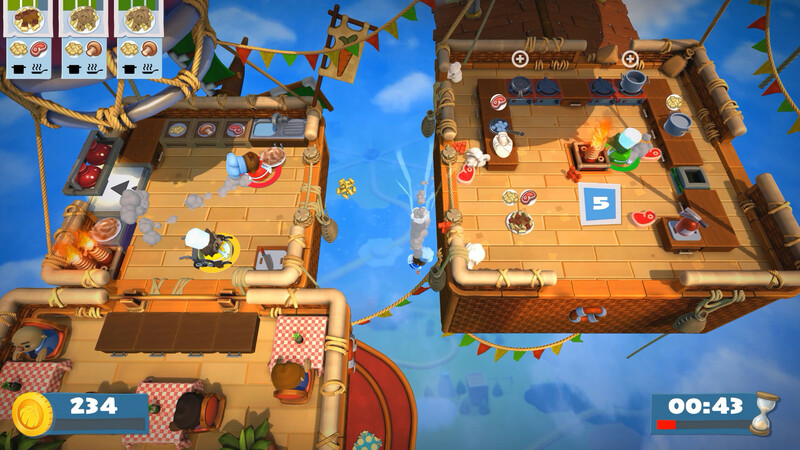 Overcooked 2 serves up a great balance of hilarious chaos and strategy alongside meaningful improvements over its predecessor. 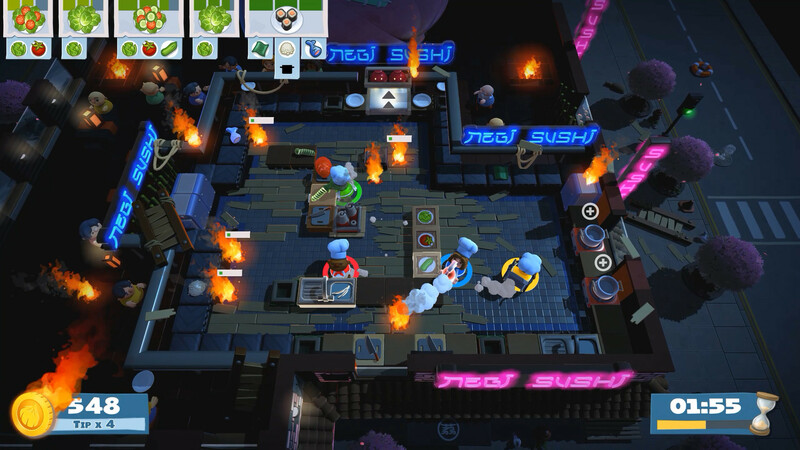 The kitchens have more moving parts, the recipes are more varied, and the ability to throw ingredients fundamentally changes the arcade cooking formula. It’s still ideal when played on the couch with friends, but solo play is much improved, and online support adds versatility. At the end of the day, Overcooked 2 is pretty much what you’d expect from a sequel. It’s core basics are just as manic and outright entertaining as they’ve always been, but the extra bits and bobs thrown into the mix keep things fresh, frantic, and help add a more nuanced, tactical edge to the action. All-in-all, a second portion of Overcooked‘s co-op insanity was exactly what I was looking for. 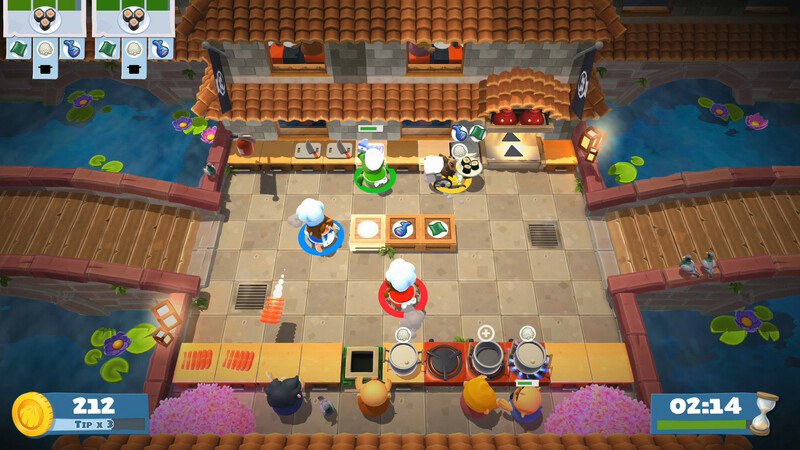 As they say though, variety is the spice of life, and I think Overcooked 2 could have used just a bit more of that: variety. Still, the resulting sequel isn’t bad by any means and will absolutely fill you up if you’re looking for precisely more of what the original had to offer. Overcooked 2's greatest flaw, however, is that it feels more like a bloated DLC than a new experience in itself. Everything from the original is present, albeit with a few extra toppings, but there isn't anything truly new. Perhaps a few different modes such as a competitive time attack would have helped make the experience feel a little fresher. Is Overcooked 2! worth the purchase? I would say it is, for sure. The story and writing may be a bit over-the-top and punny for my liking, but there are certainly people out there that will have some fun with it. So whether you’re a cook for the ages or a master of the macaroni and cheese, Overcooked 2! is certainly worth picking up. Overcooked 2 may be short on surprises, but that’s totally fine. It expands and refines exactly what we loved about the original, with plenty of fun and challenging stages to be played again and again, whether alone, with friends, or online. You couldn’t ask much more from this indie sequel: a filling follow-up that, while familiar, will have fans reaching for their aprons on launch day. 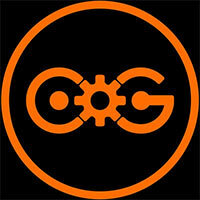 Brimming with charm and immediately accessible – while still harbouring a degree of mastery if you put the time in – Ghost Town Games’ sequel is impossible to dislike and again flies the flag proudly for the lost art of couch co-op gaming. Overcooked 2 es una de esas secuelas que nos gustan: coge la base del original y la expande con nuevas opciones y posibilidades para mejorarla. Si os gustó el primero, éste es prácticamente obligatorio, y si no lo probasteis, tenéis que hacerlo. Incluso si a priori no os atrae la idea, nosotros os recomendamos que le déis una oportunidad. Es un juego adictivo y divertidísimo, de esos con los que cuesta soltar el mando cuando estamos con amigos. 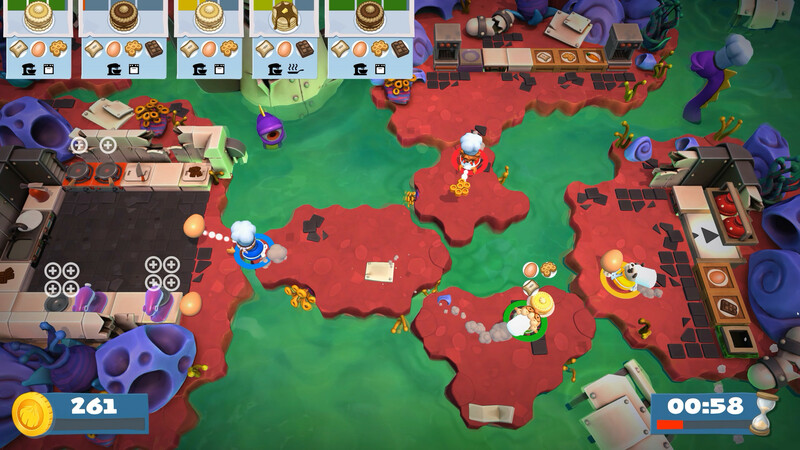 Overcooked 2 se mantiene fiel a los principios de la primera entrega y los potencia con nuevas mecánicas, escenarios aún más locos y un multijugador online que incrementa las posibilidades de juego. Sin embargo, le falta ambición, tampoco innova demasiado y posee ciertos problemas en asuntos de progresión, variedad de recetas y control. Marchante, que no le digan, que no le cuenten: Overcoooked! 2 es fruto de temporada y está para chuparse los dedos. Si buscas un juego de party para completar el viernes con los amigos, la aventura de hamburguesas y portales a otras dimensiones debe figurar en tu lista de compras. Pour les quelques grumeaux résiduels, attendez la sortie d'un patch correctif. Aussi vicieux que savoureux, Overcooked 2 est un très bon cru, à déguster bien chaud sur de courtes sessions sous peine de terminer avec le cerveau flambé. Comme quoi, l'Angleterre sait aussi faire de bonnes choses en matière de cuisine. Si le premier Overcooked! 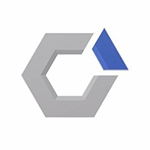 vous avait plu, vous pouvez voir cette suite comme une version améliorée, encore plus fun, dont les quelques ajouts suffisent à renouveler un peu l’expérience. Un excellent titre, que l’on déconseillera juste à ceux qui avaient fini par se lasser du premier opus ou qui ont toujours été réfractaires au concept. Alcune trovate del level design e idee del gameplay (come il lancio dei cibi e i portali magici) sono semplicemente geniali; al tempo stesso si perde il fattore novità del primo episodio, e sembra davvero impossibile inventarsi ancora altro in vista di un possibile Overcooked 3. Ma a questo si penserà dopo: intanto è tempo di rimboccarsi le maniche e mettersi ai fornelli. 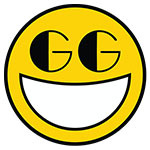 Un sequel più ricco, più colorato, più divertente, soprattutto grazie alla possibilità di giocarlo online con amici e non. Buona varietà di contenuti e un livello di sfida adeguato, mai troppo frustrante. Rischia forse di diventare ripetitivo, alla lunga, soprattutto se giocato in singolo, ma le variabili del multiplayer arginano piuttosto bene il rischio. Nella sua semplicità, un party game perfetto da giocare in una serata con gli amici. Sia chiaro, non vogliamo trovare il pelo nell’uovo che andremo a usare per i nostri pancake al cioccolato, ma semplicemente indicare delle sfumature un po’ offuscate che per un terzo capitolo potrebbero rendere Overcooked un titolo davvero indimenticabile. Noi, intanto, siamo stati più che conquistati. Fiyat performans olarak değerlendirmek gerekirse, vereceğiniz parayı kesinlikle sonuna kadar hak ediyor. 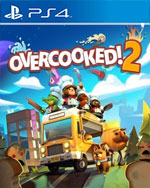 Evet Overcooked 2, sadece bir oynanış mekaniği sunuyor, ancak o mekanik de gayet güzel çalışıyor. Overcooked 2; büyük savaş oyunlarından, patlamalardan çatlamalardan sıkıldığınızda, kafanızı dinleyeceğiniz huzurlu ve eğlenceli bir liman olarak karşımıza çıkıyor. Overcooked 2 biedt meer van wat Overcooked zo ontzettend leuk maakte, maar speelt het wel erg veilig. De nieuwe online multiplayer toevoeging is nuttig, maar de game komt pas echt tot zijn recht wanneer je schreeuwend op de bank zit met vrienden. Om in de hectiek georganiseerd te blijven en een soepel lopende keuken te houden blijft tof, maar kent een fikse leercurve. Hra navyše veľmi dobre vyzerá a veľmi dobre znie. Soundtrack sa dočkal nových chytľavých melódií a grafika je vlastne rovnaká ako pred 2 rokmi, ale to jej bohato stačí. 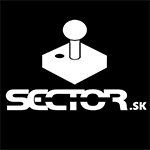 Potešujúce je, že Switch verzia už od začiatku šliape ako má a nie sú tu žiadne problémy s výkonom ako pri vydaní jednotky na tejto platforme. Ghost Town Games a Team 17 stavili na overený recept, jemne ho dochutili novými koreninami a vy sa z tohto chutného titulu budete oblizovať až za ušami.